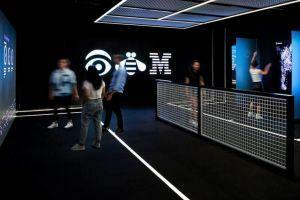 Instead of focusing on blockchain as a technology, people should be focusing more on letting it resolve real business problems, believes Maciek Jędrzejczyk, Blockchain Leader for Central and Eastern Europe (CEE) at tech giant IBM. Also, expecting blockchain to solve any and all problems you have is a common pitfall in the industry: “You have to be aware of the limitations of the technology, and you need to let your clients know,” he explains. IBM opened a blockchain innovation research center in Singapore in July 2016. 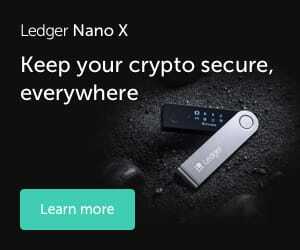 Ever since, they have been helping along new projects based on the technology, including tiny computers, retail giant Walmart supply chain, and stablecoins. They are opening a myriad of positions relating to the technology, including 1,800 places in France over the span of two years. IBM also boasts many partnerships and was one of the biggest driving forces behind Hyperledger project, the umbrella project of open source blockchains and related tools started by the Linux Foundation. Cryptonews.com talked to Jędrzejczyk about his business at IBM, how blockchain is changing the world, and what the future looks like from their perspective. Cryptonews.com: You have announced a bunch of improvements to your blockchain platform. How will this help your clients? Maciek Jędrzejczyk: We recently announced that we are expanding an IBM blockchain platform offering, which is our standard blockchain as a service offering, beyond the IBM cloud. Right now, if you’re interested in streamlining your IBM, or basically blockchain deployment, you don’t have to do it exclusively through the IBM cloud, you can run it on-premises, you can run it on your favorite cloud provider’s infrastructure, you basically have the freedom of choice in terms of blockchain topology and the exact location of the different nodes participating in the network. Overall, I think that right now IBM cloud services are definitely ready for any kind of workload because we have a robust infrastructure underneath, we have all the necessary non-functional conditions for the security and we now allow any kind of blockchain topology to be deployed and operated by our clients. What do you consider the most important experience IBM has had in blockchain until now? What helped you grow the most? What lessons have you learned? One of the main lessons we have learned, and this is now our biggest advantage, is that we did not limit our consideration about blockchain to pure technological play. Blockchain is a fascinating topic on its own, but there is no technology that will dominate over business. It’s the business that decides if a particular technology is going to resolve a problem. Blockchain resolves some serious problems related to the notion of trust. <...> If you take blockchain into such a consideration and you start analyzing with your clients how blockchain can help maintain trust within the ecosystem of relationships in which the client is dealing in terms of business, then you will see that there is a round of completely new opportunities that were, until now,impossible to reach because of the costs and because of the lack of trust between the different players. They didn’t know how to deal with each other without third parties. Now with blockchain, they can interact directly, execute multi-party processes easily, provide new services and products together, and they can do it on a trusted platform. This is the biggest lesson that we have learned. Blockchain is not exclusively about technology, it’s really about resolving real business problems. What are the most common pitfalls of working with blockchain? There are a few pitfalls. I see them coming in and out. One of the main pitfalls is basically focusing too much on the technology. The clients don’t understand it and don’t have the time to understand it. They leave it to you. They want their problems resolved. Focusing too much on technology won’t bring you far in terms of a scalable platform, product or service. It’s a bit too complex, sometimes. Nevertheless, you have to go through that process just to inform the client on the advantages and the limitations. Blockchain won’t solve all of the problems at once. The second pitfall is the platform governance. Once you have a bunch of organizations that want to try and use blockchain to establish trust between each other, then it’s very important to make sure they are understanding the stake and accepting the extent of the stake. If you have dominating parties in the networks and you don’t allow others to do anything, then you’re just transferring the normal conditions of traditional relationships which may discourage some of the partners to act in such a blockchain network. The third is a very traditional problem. Blockchain won’t solve all of the problems so it’s not a solution that fits all of the use cases. You have to be aware of the limitations of the technology, and you need to let your clients know, especially in terms of transactional limitations, preserving privacy and confidentiality, using personal information and private data on chain and trying to deal with GDPR at the same time. What is your expected growth for 2019? How does it compare to 2018? 2018 was the year when the technology matured to the extent that it could address most of the business problems related to the aspect of privacy and confidentiality, which was not possible previously. It also grew in terms of scalability and capability to house an unlimited number of participants. Technologically speaking, we’re now ready to build massive decentralized networks. I personally call them network of networks. This is what I’ll be looking for in 2019: To take all of the existing decentralized networks and start to interconnect them. To bring a critical mass of participation beyond a certain level. We’re ready to do that. This will completely change the business landscape. You won’t be able to ignore the existence of decentralized networks composed of 10 major EU banks, 5 major insurance companies, major retailers. Either you will join into the platform, build your own, or keep the status quo and see what’s going to happen. Which other changes do you expect 2019 to bring? I can’t give you a definitive answer. There’s no such thing as a killer app on the blockchain that every citizen is going to suddenly start using. Blockchain does not resolve the problems at the end-user level. It can be compared to plumbing. You don’t’ see how the water comes to your tap in the house, but you’re expecting hot water whenever you require it. This is the objective of blockchain. To be behind the curtains, to improve existing business processes, to establish new ones in efficient and economically viable way. End users, citizens, are not really going to see it. The societal effect is going to be gradual. There won’t be a ‘big bang’ in 2019, a revolution or something like that. It’s going to be more of a progressive change. It’s not going to be seen with bare eyes on an everyday basis. It’s going to take time. In which sectors do you see your own blockchain solution growing the fastest? It all started with financial services. It is now followed by supply chain participants. Producers, manufacturers, transportation companies, any other participants active in the supply chain process. The next I think what’s going to happen in 2019 we’ll see more and more use cases in healthcare, as well as production industries. Will the government sector be changed significantly through the use of blockchain? Yes, definitely. It already happens. The fact that the regulators are connecting to existing enterprise networks and have full audit capability of all events and transactions happening in a specific industry which are under their supervision. It’s already a huge disruption. Two main concerns of the government or public administration is to be able to fulfill their obligations arising from their mission, and to do it with limited human resources that they have. They welcome blockchain, not as a solution that’s going to get rid of them, but as a tool that’s going to give them full insight into what’s happening in specific industries or business processes that they supervise on a daily basis. Is there a difference between the way CEE and the rest of the world interact with blockchain? One of the main particularities in CEE is the common heritage and the history that we share. That translates to technological advancement phase in which we’re all-in. Most of our countries have started their modern part of the history 25-27 years ago with no technical background, which means we don’t have to deal in terms of business processes with some pre-existing logical or physical constructs that were built 100-200 years ago. That is a huge advantage as it gave us the possibility to build something from scratch and to jump into a specific technologic phase in comparison to some western European or North American counterparts. 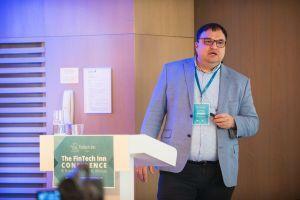 As a result, quite many of the traditional blockchain use-cases that many people talk about, which are maybe applicable in Western Europe or the US, are not applicable in CEE for a simple reason – we resolved these problems with other means and technologies a long time ago. Now we are focusing on other issues which are not known in Western EU countries, so we’re creating solutions to the problems that the Western European countries won’t have to face, anyway in the near future. We have a huge advantage here, because whatever we build here, and we’re more dynamic in terms of building some really interesting solutions, we will be able to use them as exportable products and be the leaders for the blockchain in enterprise adoption.